Privateer Press has their latest releases for both Warmachine and Hordes available over in their webshop, as well as at a Local Game Store near you (more than likely). More Warmachine releases than Hordes this time around, though considering what they got, it certainly couldn't be said that Hordes got nothing important. 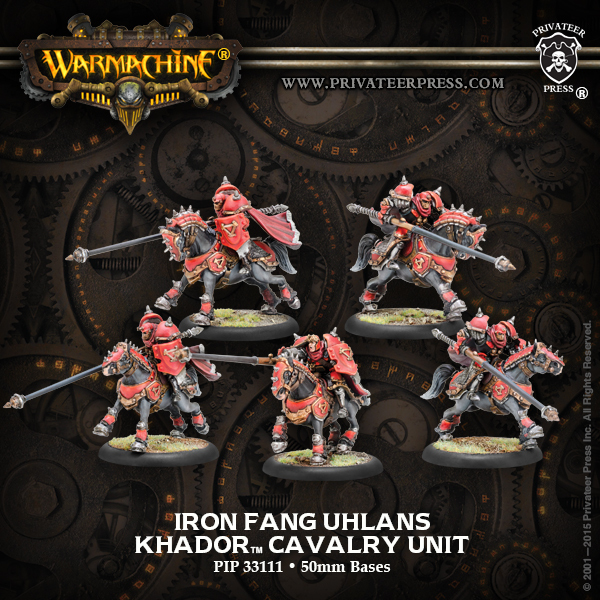 Starting off with a bit of "bookkeeping" in the form of the Iron Fang Uhlans. This isn't a new unit or resculpts, but it is a whole unit of them in a single box. After that, we've got that one Hordes release. 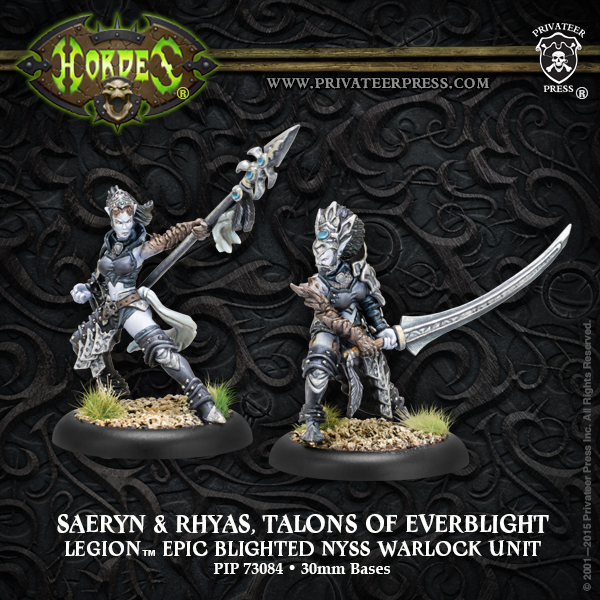 Before, Everblight-players had to choose between Saeryn or Rhyas to lead their army. Now they don't have to. They can simply take the Saeryn and Rhyas Warlock Unit. Everblight isn't the only one that gets a new army-leading addition. 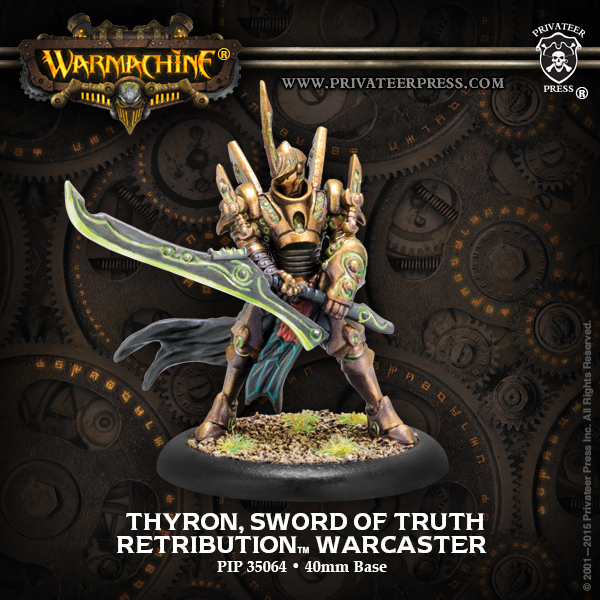 Retribution of Scyrah is getting Thyron, a new Warcaster. A master of swordsmanship, Thyron is a fencer-style Warcaster that looks to be about feints and strikes. From there, we've got a pair of solos. 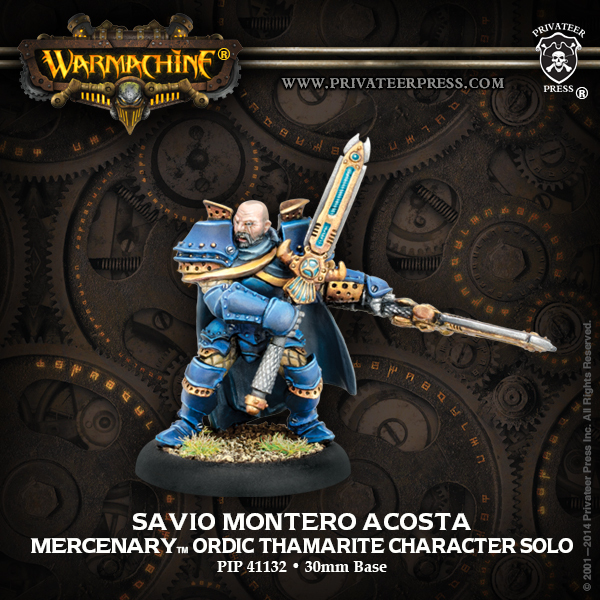 Cygnar is getting Savio Montero Acosta, also something of a swordsman, himself. Though he wields a pair of storm glaives like the Stormblades use. 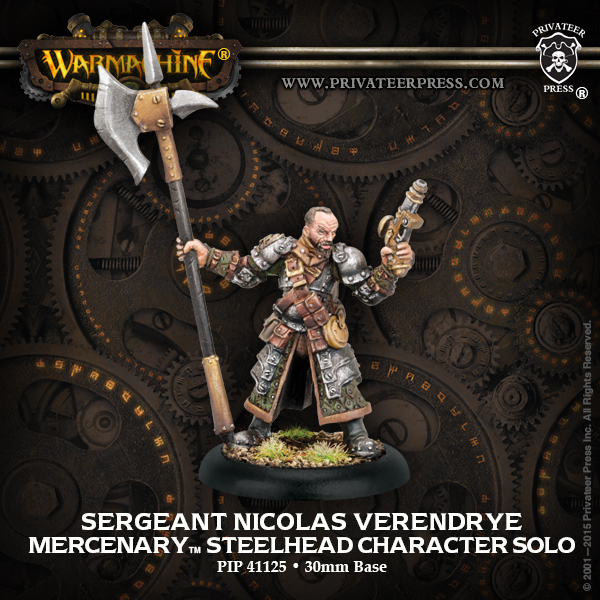 And finally, there's Sergeant Nicolas Verendry, a new Steelhead solo. I know Devilsquid is happy about that one. Go check them out in the Privateer Press webshop.